Research shows that an exercise routine offers a wealth of health benefits. One study found that adults ages 75 and older who exercised lived longer than older adults who didn’t exercise. Another study discovered that older women who squeezed in resistance, or strength, training workouts each week improved their mental function. Get in the swim. Swimming is an excellent exercise choice, particularly if you have joint pain. Join a local fitness center with a pool. Work in regular swims to meet your cardiac needs without straining your joints. 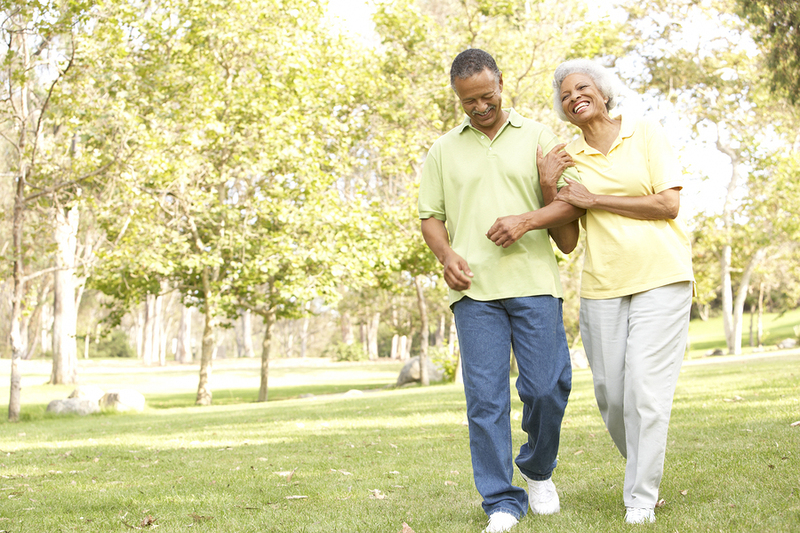 To help prevent falls, you also want to practice exercises that improve your balance. Yogawill help you manage stress, feel more relaxed, and improve muscle tone. Taking some time to stretch every day can also help keep your joints flexible and keep you moving well. It’s also important to lift some light weights. Remember that getting older doesn’t mean slowing down. You’ve got to keep moving to stay young at heart…as well as in mind, body, and spirit. The idea of optimism leading to better health. Researchers found optimism had a remarkable impact on physical health. The study examined overall longevity, survival from a disease, heart health, immunity, cancer outcomes, pregnancy outcomes, pain tolerance, and other health topics. It seemed that those who had a more optimistic outlook did better and had better results than those who were pessimistic.The message is that having a positive attitude can boost your physical health, no matter what might be ailing you. As you get older and retire or move to a new community, you may not have quite as many opportunities to socialize as you did when you were younger. If you’re not heading to an office or getting out and about each day, you may be missing out on important social interaction that you need to stay sharp and healthy. Social interaction offers older adults many benefits. Staying socially active and maintaining interpersonal relationships can help you maintain good physical and emotional health and mental function. Potentially reduced risk for cardiac problems and some cancers etc. Social interaction helps keep your brain from getting rusty, but it’s most effective when coupled with an overall healthy lifestyle, including a nutritious diet and physical activity. Find ways to stay young at heart, stimulated, busy—and out of the house. Schedule regular visits with grandkids or volunteer at a school or children’s organization to enjoy time with little ones and absorb some of their youthful energy. Although staying in touch in person is important, phone calls, snail mail, and e-mail can keep you connected, too—if you’re not yet comfortable with computers, ask a young relative to help you. Staying socially active and maintaining your relationships are an important part of healthy aging. Reach out to your loved ones—neighbors, friends, family members—and stay as vibrant, active, and social as you’ve always been. Maintaining a healthy diet is one of the best weapons for fighting diseases and other heart conditions. Cut back on high-fat foods containing partially hydrogenated vegetable oils and saturated fat. Use liquid vegetable oils. Limit cheese, butter, ice cream processed and fatty meats, cakes, cookies, pastries and doughnuts. Eat more seafood, and eat fish at least two times a week. Eating fish can be good for you. All of these contain omega-3 fatty acids. After you purchase nutritious foods, make certain you prepare them in a healthy manner. Grill fish and chicken instead of frying it.